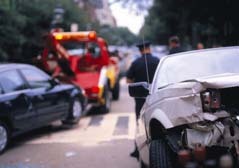 In 2003, there were 6,328,000 auto accidents on U.S. highways resulting in 2.9 million injuries and 42,643 deaths. Needless to say, if you have recently been injured in a car wreck, truck accident, or motorcycle crash, you are not alone. While it’s true that accidents happen, it is also true that many accidents are the result of negligence, unsafe equipment, and unsafe driving. If you have been hurt in an accident or a family member has suffered a wrongful death, contact the experienced Oklahoma auto accident lawyers at The Self & Spurgeon Legal Group, PLLC today. Recovering fair compensation after an auto accident involving the negligent actions of another driver is important to you and your family’s financial well-being. Our firm is not afraid to stand up against insurance companies that may try to minimize or deny your claim, and we can help you recover damages for lost wages, medical bills, pain and suffering, diminished earning potential, and more. Contact us today and together we will work toward obtaining fair compensation for your injuries. We offer a phone consultation and reasonable fees. Credit cards accepted.